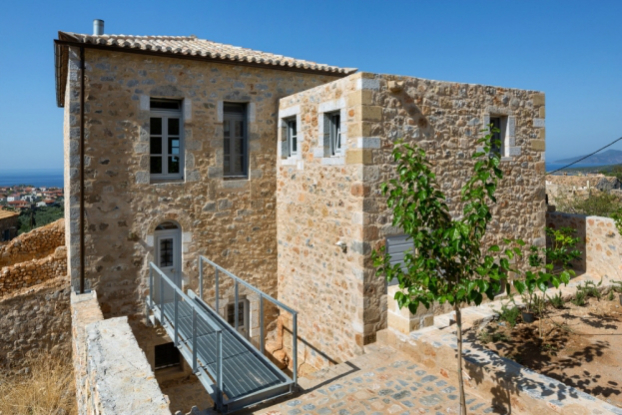 Great reconstruction of a typical house of Mani, Greece designed by hhharchitects. 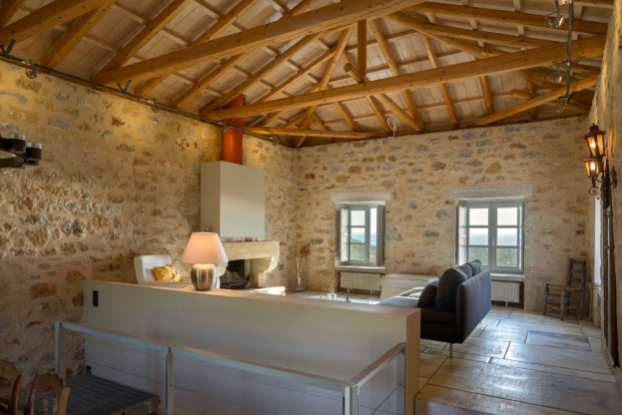 The project involves the reconstruction of a typical house of Mani, at the settlement of “Lefktro.” Both the preservation of the existing stone shell of the house and the clear differentiation of the new integrated constructions-interventions, have been the guiding principles in designing this project. 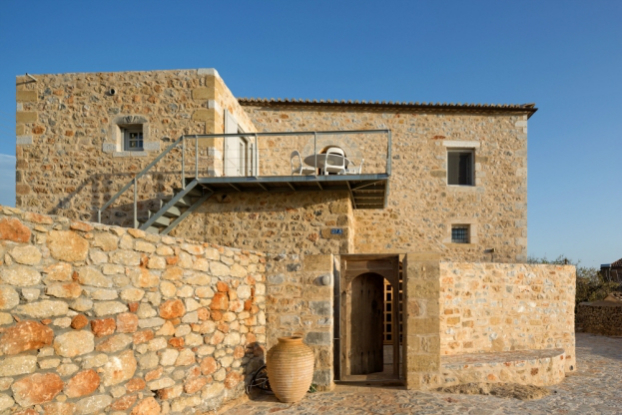 The lightweight steel construction, both in correspondence with and at distance to the massive stonewalls, allows visual contact between the different levels and highlights the interventions performed upon the existing shell. 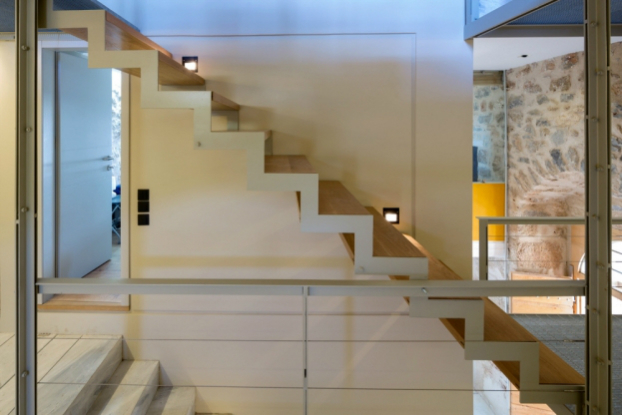 The staircase, made out of marble in the first part and out of metal in the remaining part, connects the three internal levels of the house and leads into the every-day dining and living space of the second level. 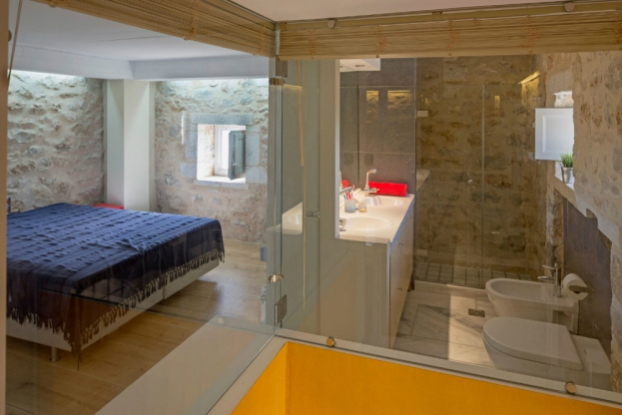 The “outbuilding”, in direct contact with the main volume of the house, bears a dome, which has been repaired and is being used as a bedroom. 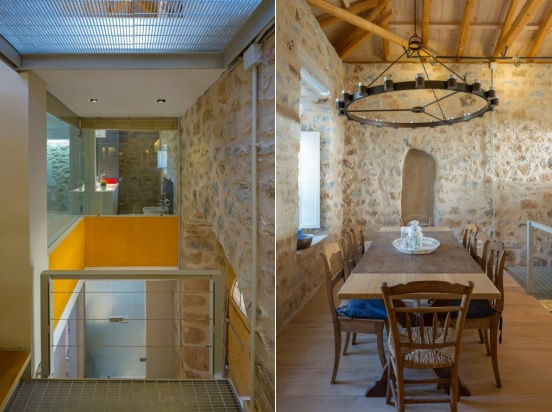 Directly above lies the kitchen, thus communicating with the dining room and the sun terrace (“Liakoto”). The old wooden gate, leading to the inner courtyard of the house, was paved with a local sandstone called “kimisiri”. 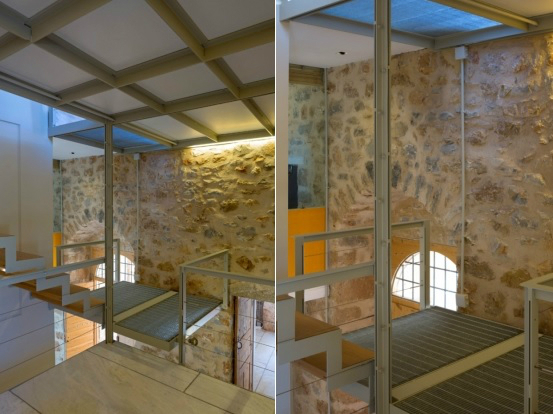 An external staircase connects the courtyard and the sun-terrace (“Liakoto”) located at the same level as the main entrance, which leads to the daily living space. 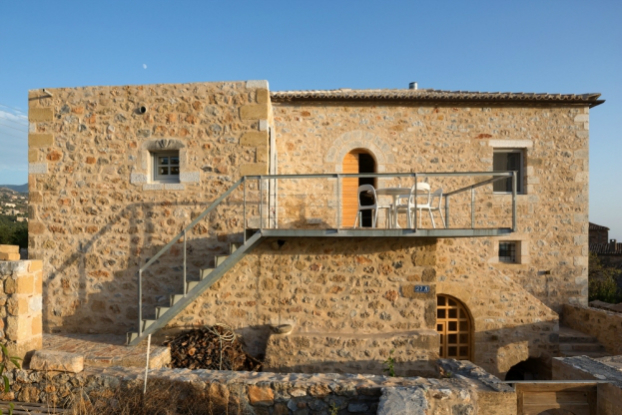 The sun-terrace (“Liakoto”) was expanded via metal cantilevers, thus creating an outdoor seating area in front of the kitchen. 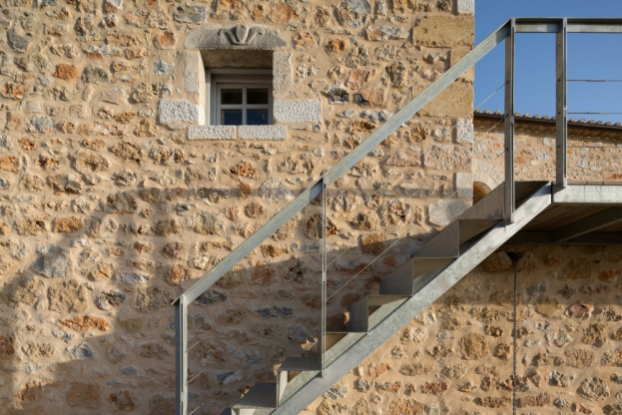 The loggia ends in a metal staircase, thus leading to the surrounding areas.